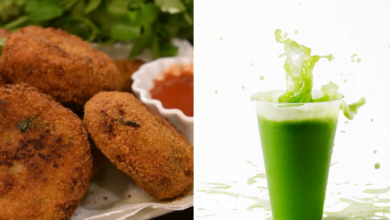 Are you are looking for a Quick and nutritious snack? Soak all the ingredients for 4-5hours. Grind it to a paste and ferment for six to seven hours. Add chilies, ginger paste, one spoon curd, turmeric powder, Himalayan pink salt, Eno fruit salt(optional). Add palak paste for extra nutrition. Pour the batter in a plate and steam it on high flame for twelve to fifteen minutes. Prepare a tempering of cumin, mustard, white sesame seeds, and curry leaves. Add coriander and grated coconut for garnishing. You can add fenugreek leaves and lemon juice for extra taste. Serve with fiber-rich green chutney. Spinach and green chutney provides the required fiber and numerous essential minerals and vitamins. 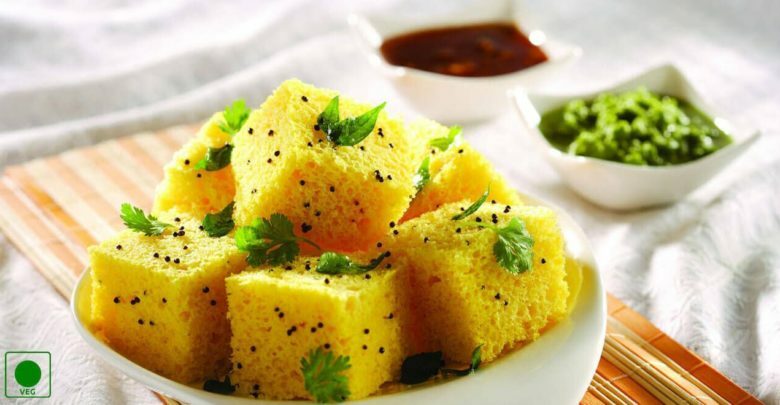 Fermentation process makes it probiotic rich and increases the Vitamin B12 content of the dhokla. Ghee used for tempering has medium chain triglycerides which are known to enhance brain function, saves the liver from extra work and helps in improving the skin texture. Ghee being a source of natural saturated fat acts as an antioxidant and helps in improving the immunity of the body, delays the aging process and prevents cardiovascular diseases. Coriander and lemon juice provides us with vitamin C.
Coconut is a rich source of good fats, essentially medium chain triglycerides. It is also rich in good quality proteins. Turmeric has curcumin which is anti-inflammatory. 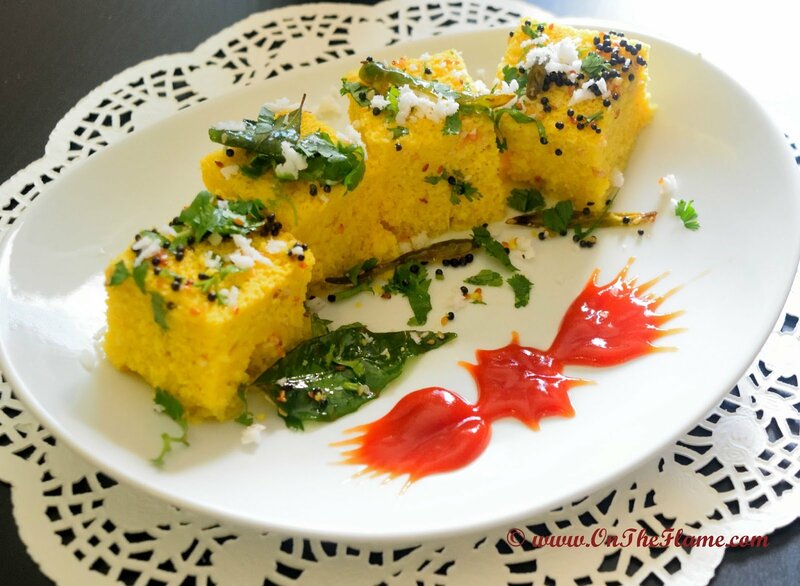 Enjoy this dish any time of the day- as a good breakfast, snack or dinner. Don’t forget to try this recipe and get back to me with your comments.